The album’s title and concept harks back to the experience of playing vinyl records and lifting the stylus ahead to the guitar solo. Although they're a generation apart, in their younger days Henry and Alan would both do this and then jam along with the winding modal excursions over vamps like "Light My Fire," "Down By the River,” “Agharta Prelude,” “Alice in Blunderland,” “Dark Star,” "In Memory of Elizabeth Reed,” and many more. ?Alan was a fan of Henry's as a teenager in the 80s and took a workshop with him back then that was an eye-opener as far as listening to and playing free improvisation. They stayed in touch, played live together a few times, and had been talking about doing a record project for close to 20 years. 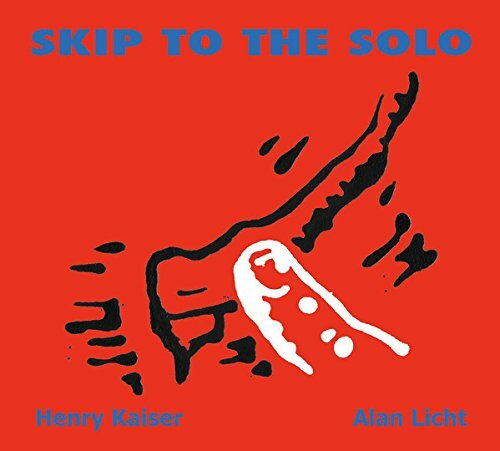 Alan recalls, “During a 2015 duo gig at The Stone in NYC Henry turned to me and said ‘Play a couple of chords that I can fuzz solo over.’ A couple of days later it hit me--let's do a whole album of that!” This disc is it, one where the artists provide a notable service to the listener: they skip to the solos so that you don't have to!